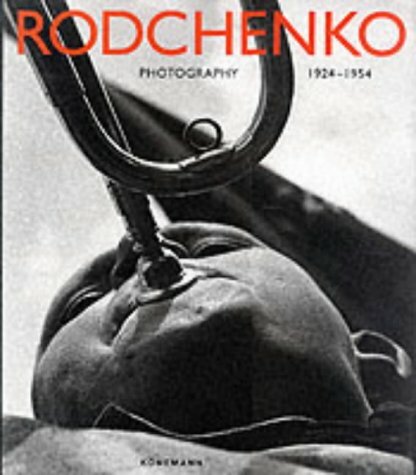 This is the most complete volume published outside of Russia to capture the photographic work of Alexander Rodchenko, one of the former Soviet Union's greatest artists. In it, Alexander Lavrentiev, grandson of the photographer, includes more than 400 pictures reproduced under a broad categorical structure that allows the reader to gain insight into Rodchenko's work. What comes across most clearly from the content and form of these photos is the artist's desire to depict an image of purposeful individuality and an idealized relationship between humankind and the built world under construction in the Soviet Union. Individual portraits generally contain a device, such as a reflection, or capture some movement that obliterates the standard style of Western portraiture. Buildings, even trees, are photographed to draw attention to the space they hold rather than to depict scenic landscapes. The photos are stunningly original.